Sedum spectabile 'Neon' | Walters Gardens, Inc.
Near the end of its bloom cycle in fall, the foliage of Sedum 'Neon' turns bright gold. This upright variety sports flat clusters of radiant rosy-magenta flowers that seem to glow in contrast with the light green foliage. A sport of 'Brilliant' with broader flower clusters and more consistent color. Gold fall color. Tall, upright sedums form substantial clumps of foliage which can be substituted for shrubs in the landscape. Their stout, sturdy stems support the massive flower heads which develop in summer and burst into bloom in fall. If left standing, they provide winter interest and food for birds. 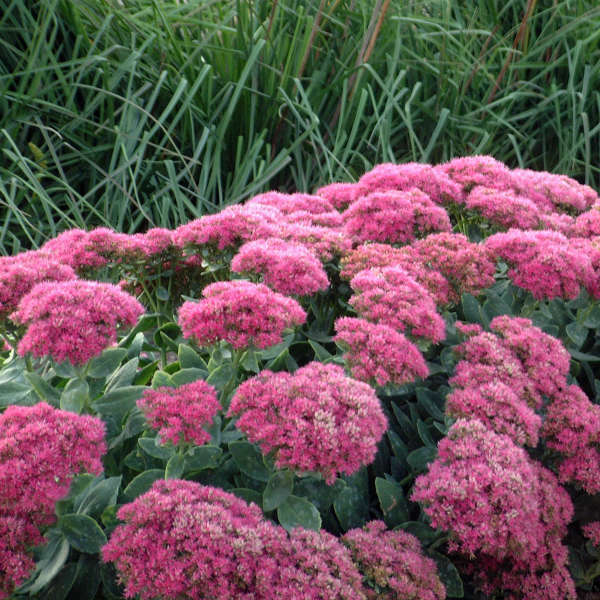 Sedum is one of the most popular perennials grown in American gardens because it is very easy to grow and hardy in most areas of the country. 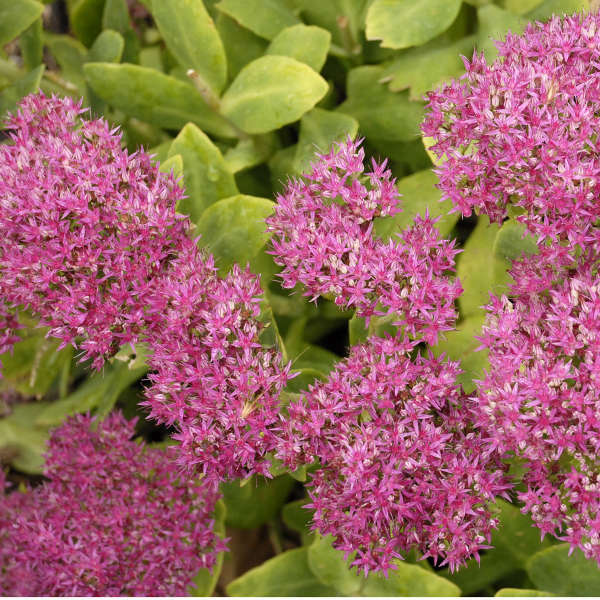 Because of its thick, succulent leaves which can store water, sedum is drought tolerant. It should be sited in average to poor soil that is well-drained. Plants grown in rich soil tend to be lanky and open. 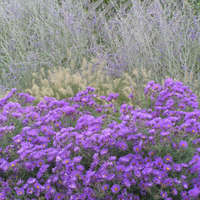 Most varieties should be grown in full sun to light shade. 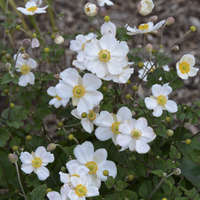 The lower growing types, however, will survive in partial shade. 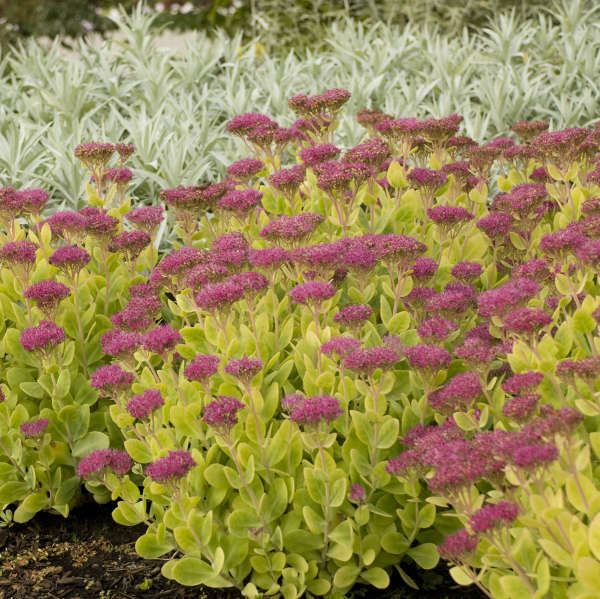 Divide sedum every 3-4 years to maintain its compact growth habit. Older plants tend to split in the center if they have not been divided. Pinching the taller varieties back by half in early summer will also help prevent them from splitting. This plant is not usually bothered by pests or diseases. The seed heads of the taller varieties provide excellent winter interest and food for birds. Remove them in spring when the new growth begins to show. Bulk in summer for a full plant the following spring. Needs 100-200ppm fertilizer for optimal growth. Preventive fungicides recommended at transplant time. Mildew can be problematic, treat as needed. Some trimming may be necessary at planting time to fit into the container. Warm and slightly dry conditions after transplanting speeds root in and growth. Avoid overwatering; extended periods of wet soil will be detrimental. Place crown just at or below soil level. One soft pinch, 1 week after planting. Second pinch optional. Florel® at 500ppm is also effective at increasing branching. B-9 / Cycocel tank mix will control growth; however, growing plants dry will also control growth. Larger plants with better branching and form will occur with vernalization. 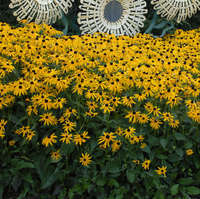 Requires high light in production; in a very high light environment, such as Southern California, plants may need up to 30% shade to protect against sun scorch. Sedum require long days to flower. Once buds form plants can be moved to a short day enviroment.